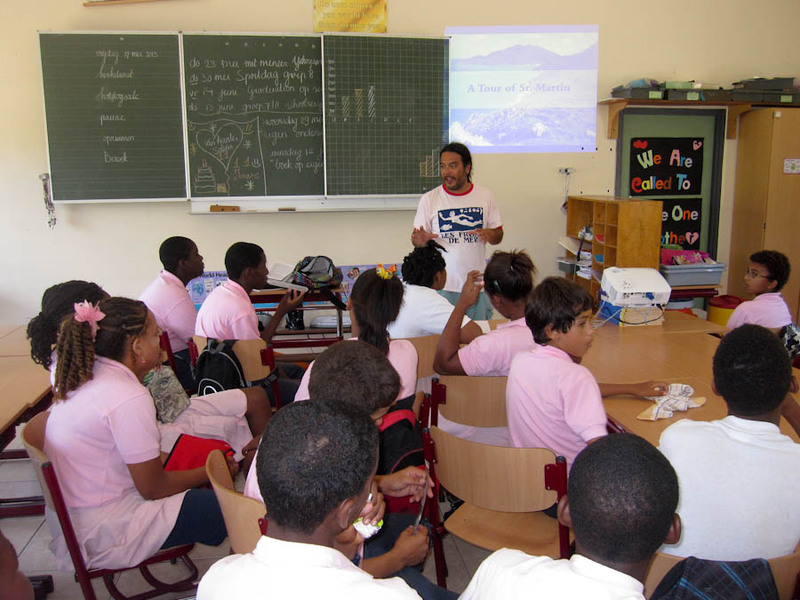 An effective wildlife education program is primarily a matter of creating compelling content for students and delivering it in a way that is engaging and encourages further interest in the subject. There are, however, a few material requirements that can have a big impact on the effectiveness of this program, and these are outlined below. The ideal equipment is listed in each section, but alternatives may be equally useful, provided they offer the same basic features as the recommended items. Assistance to acquire this equipment is gladly accepted and we are happy to recognize donors on our website and any other ways possible. Funding to purchase equipment and in-kind donations of equipment are equally appreciated. Used equipment, provided it is still in good working order, is also gladly accepted. There are a few things that could really help our education program. If you are interested in donating or financing these items, please contact us. In addition to the items below, we can always use your old, but working digital cameras and binoculars for workshops and events. The Opportunity:Engaging wildlife presentations in the classroom, with exceptional images of local wildlife, are a terrific way to engage local youth in the study of wildlife. The Challenge: While most schools have projectors, I have found that many classrooms are not ideal for projecting presentations. Often there is no way to block natural light, and sometimes the projectors are partially broken making images faint, lacking in color and difficult to see. In addition, few classrooms have a screen, and many classrooms have little or no available blank wall space for projections. The result is that images, rather than captivating, may be difficult to see, and only some of the students have an unobstructed view. Limited wall space and a partially-broken projector results in images that look all-blue and are projected in a small, awkward space. The Solution: A video projector that has sufficient brightness and resolution to project clear images in a less-than-ideal environment, and a portable screen to ensure that images can be projected at a size that is clearly visible to all students in the class. A projector like the Epson Powerlite X12 has 2800 lumens of brightness, 1024×768 resolution and is portable enough to bring to presentations. At Amazon.com it currently lists at $493. Any other projector with similar specifications would also be fine. A portable screen, like this 84-inch portable pop-up screen is portable, large enough for clear images and currently costs $79 on Amazon.com. Any similar screen would also work, with an emphasis on portability and ease of set-up, so it can be taken to presentations and students won’t be frustrated waiting during set-up. The Opportunity: Taking macro photographs of insects and other small animals in the field while leading school groups is a great way to inspire interest in local wildlife. Macro images show details that cannot be seen with the naked eye, and can make it easier for a whole group to see an animal that may be inclined to walk or fly off. The Challenge: Showing macro images on the tiny screen on the back of a camera is better than nothing, but they are often hard to see in bright sunlight and it is difficult for each student in a group to get a good look. 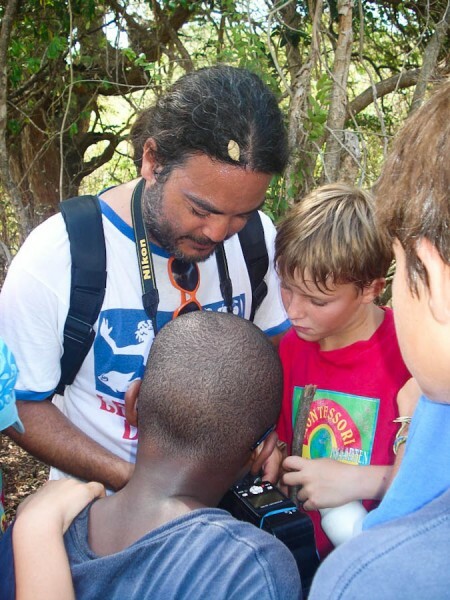 Students struggle to get a good look at an animal on the tiny screen on the back of the camera. The Solution: It is currently possible to send photos from a wi-fi-enabled memory card in a camera directly to an iPad. This can be done anywhere, with no additional equipment. This technology makes it easy for students to see fine details on a large screen, enhancing the educational value and excitement of a field trip. The Eye-Fi Wi-Fi-enabled memory card costs $49.99, and iPads range in price, starting at $329 for the iPad mini (although the full-sized iPad, starting at $399, would be more effective, as it has a bigger screen). 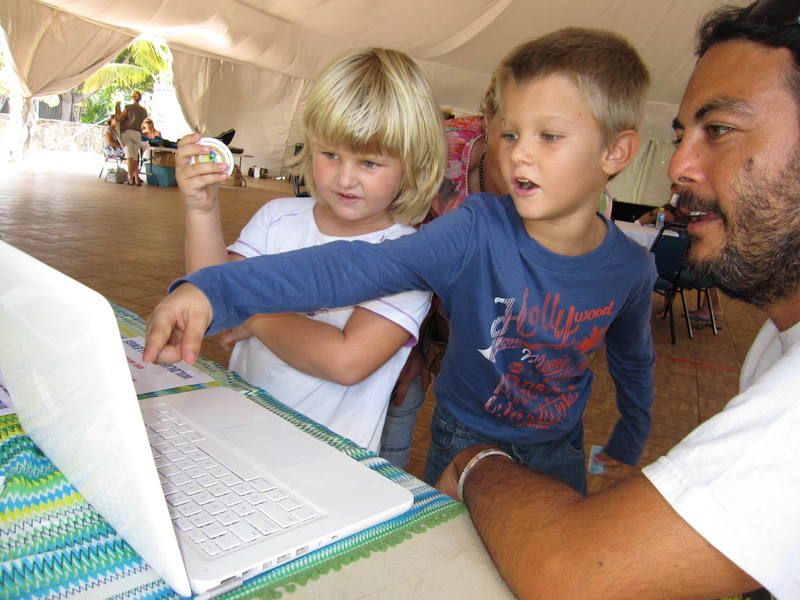 The Bonus: As a bonus, the iPad is the perfect tool for sharing photos or doing interactive wildlife games at events. It is more portable and has longer battery life than a laptop, and is also less likely to be damaged when handled. 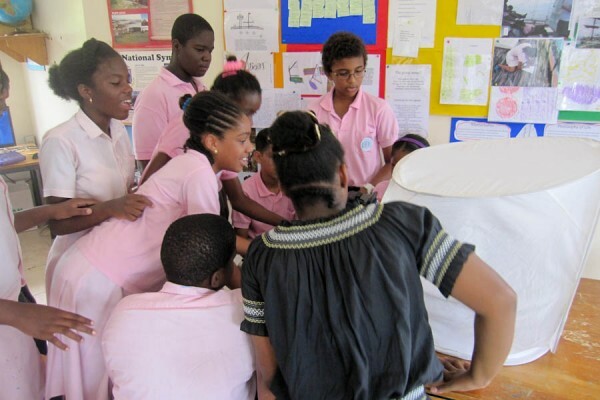 Playing an interactive wildlife game at a Nature Foundation SXM event. The iPad is ideal for this use, with longer battery life and without risking damage to my computer, which I rely on and can’t afford to replace. The Opportunity: In-person wildlife education events in schools and in the field are a great opportunity to inspire local youth and generate interest in wildlife and the environment. The Challenge: I don’t own a car, and getting around on foot or by bus is usually fine. For events that may require bringing equipment (e.g., projector, mini-photo studio, etc.) it may be necessary to rent a car, increasing the expense of these events. On a case-by-case basis, transporting students to events in the field may require sponsorship as well. The Solution: Transportation sponsorship to events, in the form of a rental car or other transportation. In order to reduce costs, multiple events can be scheduled on the same day, or clustered into a few days. Students enjoy learning about wildlife and photography with hands-on activities, but transporting equipment is difficult by foot or bus.